I was recently inspired take part in a lifestyle series hosted by Compass where they feature bloggers stories on their first home or starter home, be it a rented property or your own property. I love these kind of posts, both writing and reading them. We've been living in our current house for 2 years now and it's the house that our family began in. We moved in in April 2013, two months before our son, Luke was born. It took a while for me, personally to settle in there but honestly it didn't really feel like a home until the day we brought Luke home, then it truly was our "home". We live in a 3 bedroomed terraced house with a decent sized living room and kitchen. It was actually the living room size that pushed me towards this house when we were looking. There are 3 bathrooms, 2 too many if you ask me though, that's a lot of bathroom cleaning! There's a main bathroom, en-suite and downstairs toilet, I'd much prefer if that was a storage cupboard or pantry though. Most rentals properties in Ireland are furnished so we didn't have to worry about furniture, the couch was the final aspect of our decision on this house. My main issue with this house is the garden, the front is onto a road so not a suitable area for Luke to play but the back isn't in great condition either. There was a bit of a drainage issue but we are currently in the process of making it that bit nicer while not spending too much. There is a big green area right across form our house which looks out onto Cork harbour, it makes for some stunning sunsets in the Summer. When renting you are always restricted in relation of what you can do to the property but there are plenty of accessories that you can buy and temporary adjustments you can make to give the property a personal touch without leaving permanent marks. 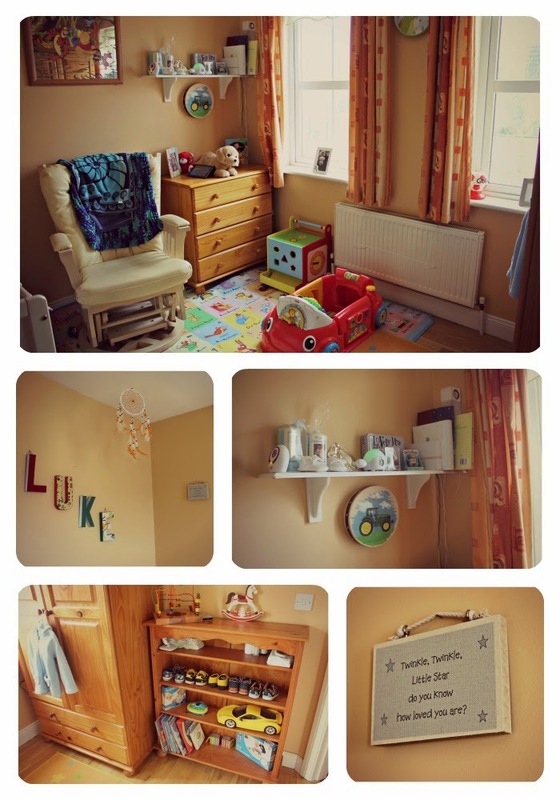 My main project when we moved in was making a nice space for Luke and having a comfortable and cosy bedroom for him. We initially put him into the bigger room but ended up moving him to the smaller room as it was more suited to his cot and furniture and it's a lovely pale terracotta colour which gives the room a warm feel. His room is my favourite, I often sit down in there to catch 5 minutes, it's probably the most organised too, no mean feat with a toddler in residence there! I found his name in letters online made by a woman near by, I love these little touches and it's something we can take with us when we move. As I mentioned the living room is quite big and mostly taken over by toys now but I do love our L shaped couch, you need a good couch and cushions! 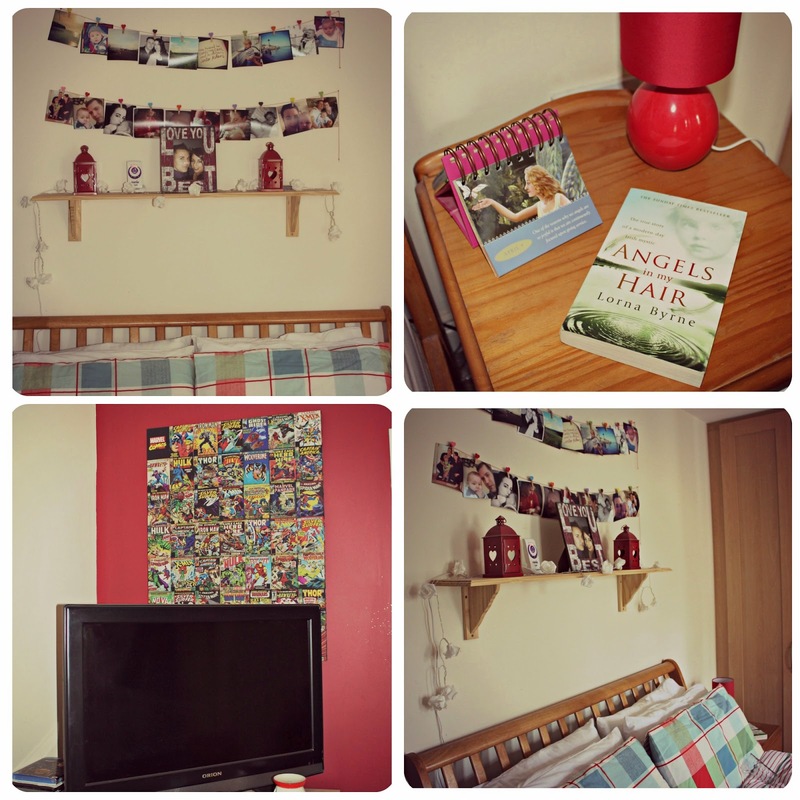 Our TV is wall mounted to it's away from roaming hands and the walls are adorned with family photographs. The shelves are filled with books and candles. I'm the process of changing a few things in this room, getting some new curtains and painting the walls an off white colour, all in order to match a recently purchased mat and to make it that bit more neutral. Our bedroom was a bit up in the air after the arrival of a baby but recently we sorted it out and made it into a much more relaxed and personal space. I may have made it too girly for the man in my life so he purchased a Marvel canvas print which hangs behind the TV, that seems to be his corner of the room along with the playstation, not to worry though I've added a candle to that area too! The prints above the bed were pictures printed from Instagram and I purchased the thread and heart shaped pegs on EBay. It's all of these little touches that make it our home and are all things we can take with us no matter where we go. I'd never heard of Urban Compass. Can't wait to have a proper look at it. 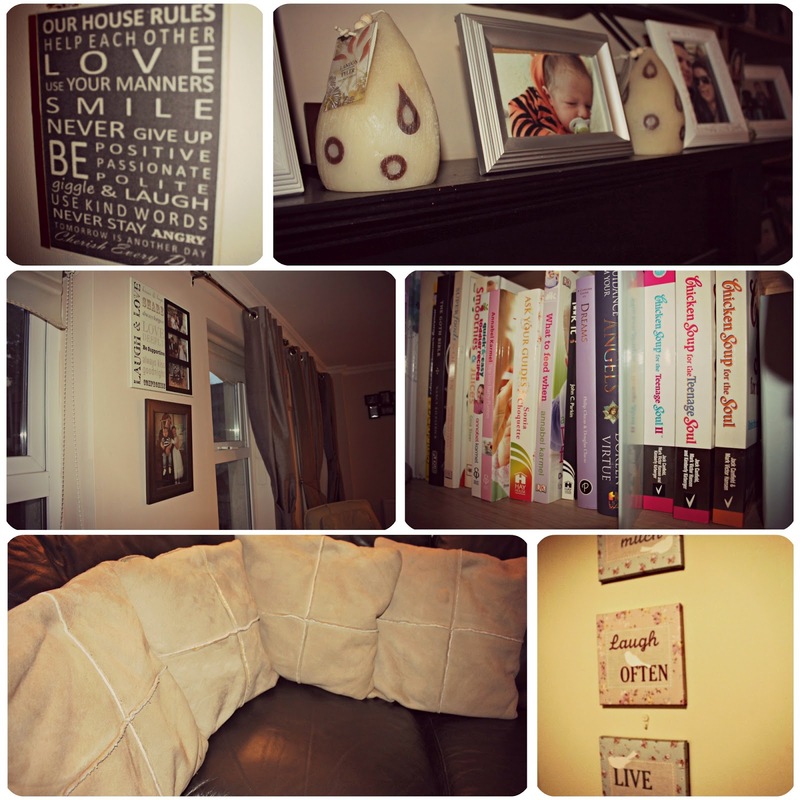 Love seeing inside other peoples houses. We are renting to and the restrictions of what we can do really annoys me! But hopefully it wont be forever! Gorgeous. I just love these kind of posts. These type posts always appeal to my nosiness:) I love the letters with Luke's name. I'd have to do such a tidy up to do one of these! Ha I'm the same, love to see behind the closed doors! I avoided the spare room, kitchen and top landing as that would have required a tidy up!